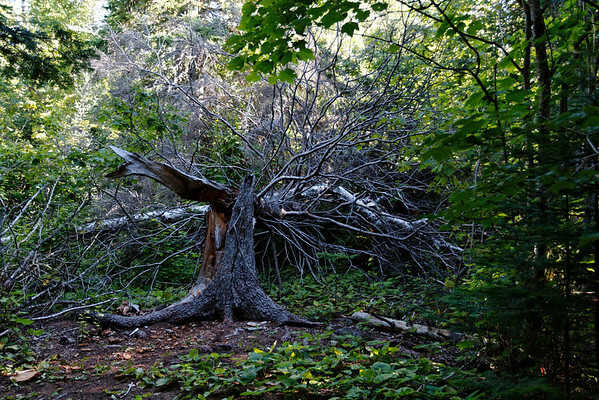 Ever since I stumbled across photos of Sleeping Giant Provincial Park a number of years ago, I’ve yearned to explore the area. Unfortunately the park being close to Thunder Bay makes it a little far for me to drive there from Toronto. It’s a 19 hour drive, if not more. Finally opportunity arose when I had a single vacation day remaining and extended the weekend. Add on a discounted flight with Porter and bonus! One of the craziest things about Ontario is that it is incredibly difficult for majority of its population to reach some of the province’s most unique and stunning landscapes. It is both a good and bad thing. Had the lucky opportunity to set up camp on one of the most beautiful campsites (in terms of non-back country sites) I’ve encountered. 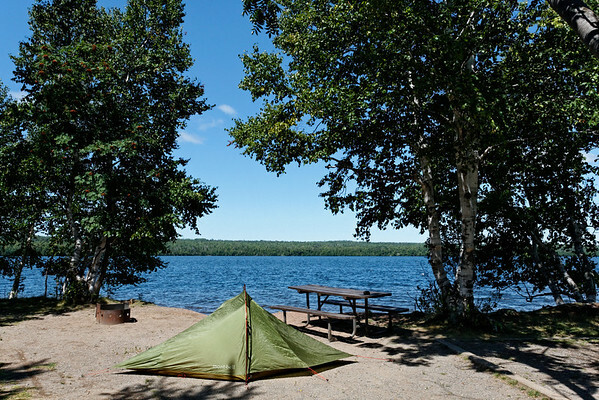 My tent was set up mere steps away from from the interior lake Marie Louise. Stunning views, although we had noisy neighbours and a family of ducks that kept visiting. What I did not know was that the hiking trails were located so deeply within the park. 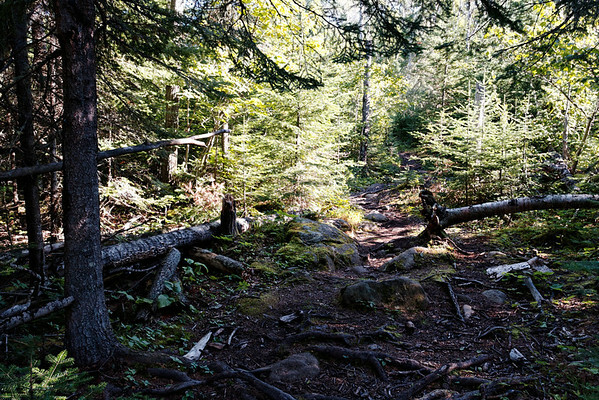 After driving to the trailhead, there was still at least a 6km hike just to get to the real hiking trails. Most people brought mountain bikes to make the trek shorter or made use of the back country campsites. 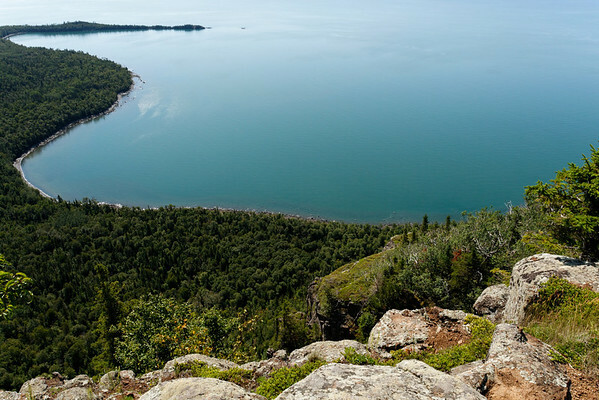 I was initially weary of the hike up the giant as I wasn’t seeing any truly good views but in the end, the climb up the giant was definitely worthwhile as we got to look out over Lake Superior. 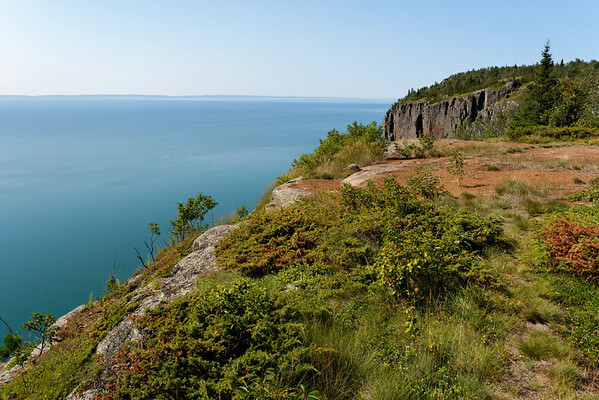 Ran into a couple of hikers with glasses of red wine … interesting locals … and they were very kind to point out that it was worth hiking further to the Chimney rocks (cliffs). Apparently there used to be a trail along those cliffs that got shutdown after a number of people had fallen or were injured by falling rocks. Looking out over the lake was amazing, Ontario is often recognized for having a lot of lakes and not a whole lot of mountains. We don’t. But I’m glad we have steep cliffs such as these to sit on and look out from. After hiking further and going through some really peculiar turns and twists in the trail, the reward was one of the best places to rest and eat lunch. 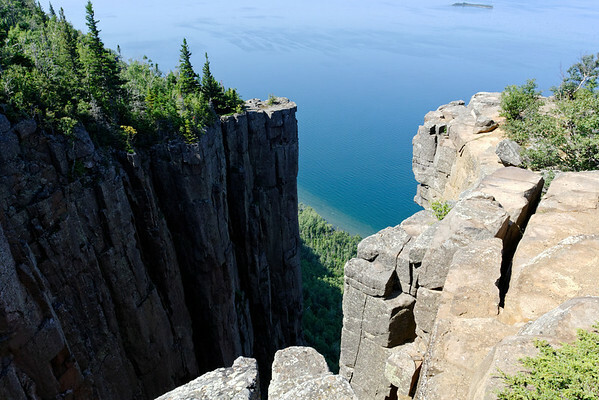 The cliffs you see below are absolutely jaw-dropping in person. I wish I were able to get a better shot but I was reluctant to get too close to the edge, although I did dangle my feet along the edge while having lunch. You could even see Thunder Bay across the lake. On the way back, there were people who did not carry enough water and they had not even reached the point of climbing the giant. The way to the top of the giant is a long one and I am actually happy that it isn’t easily accessible to everyone and that there is a challenge to reaching this point. It just wouldn’t be the same if this cliff were crowded with people.